“This discovery, strange to relate, was only made in the spring preceding my arrival on the island when two farmers realised £60 in a single boat after they had finished the daily labours of the field”. 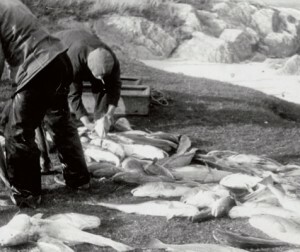 As the British Empire grew, so did the demand for fish, but Tiree, despite being near good fishing grounds, was losing out. A report from 1845 states that there were too few full time fishermen on Tiree. There seems to have been two reasons for this; the fertility of the island meant that a living could be made from the land. In addition there was no safe harbour. Most fishermen were also crofters and so had less time and capital to devote to the sea than their competitors from the mainland. By the second half of the 19th century, fishing had boomed on the island reaching its peak by 1881 with 171 men employed in the industry. However, competition from fishermen from Ireland and the east coast of Scotland continued to be a threat. From around 1880 steam trawlers and drifters began to infiltrate, these were much bigger than the traditional boats and by 1914 the average trawler was 60 tons. These new boats were much more efficient hunting machines. Railways took fresh fish on ice from the large fishing ports of Mallaig and Ullapool to the big cities of the south. Traditional methods of salting and drying cod and ling and shipping bundles to the mainland once a year became outdated and Tiree could no longer compete. 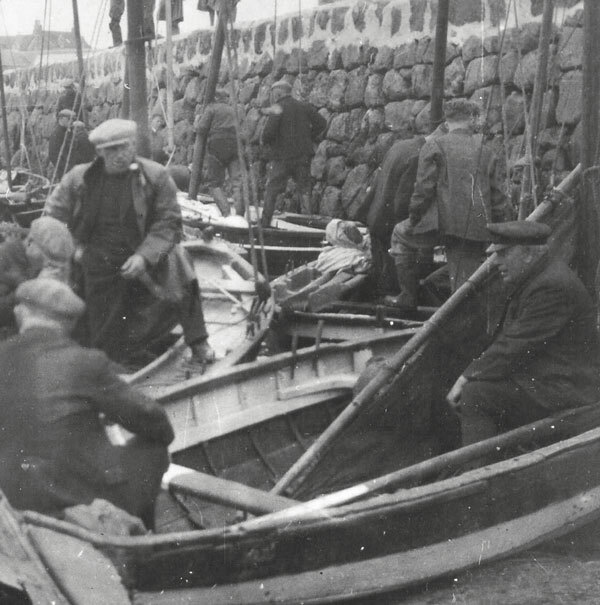 Commercial long line fishing for ling and cod was over by about 1910, ‘professional’ Tiree fishermen still went out to the banks for white fish, for which there was a ready market on the island. 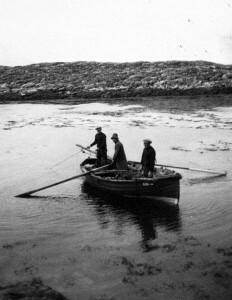 From 1914 to 1921 there was a herring boom on Tiree. At its height the fish were even being thrown up on the shore. Everyone that could lay their hands on a boat went out and you could see and even smell the herring in Gott Bay from the shore. 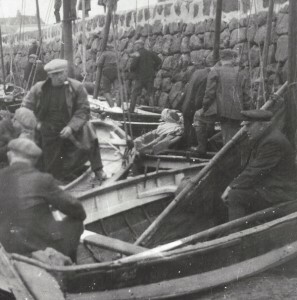 Gott pier became a hive of activity with buyers and gutters who came to Tiree following the fish. Boom times meant an influx of incomers and money. However, in 1921 the shoals of herring disappeared as mysteriously as they had come. 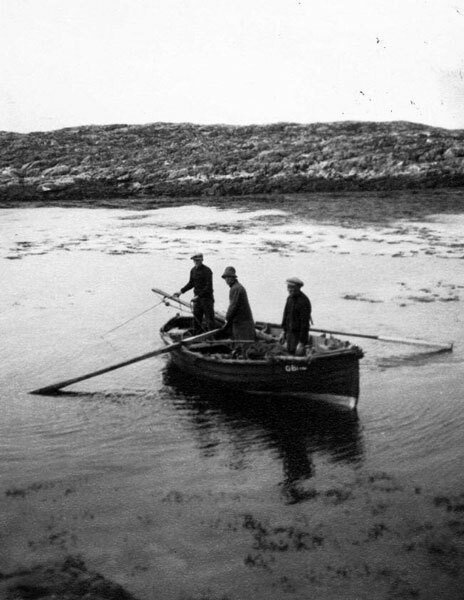 By 1939 30% of Tiree’s fishermen were gone.